There is 'apparently' someone with a cartridge with a Sonic 1 proto/beta that was passed around at the time exclusively to journalists/editors. I think drx can fill you in on the details regarding it but as far as I remember, getting hands on it is a matter of when rather than how (money) due to the circumstances surrounding the location of it and the owner not being able to get it from their father's storage. Some complicated relationship issue but I don't remember the full extent of the details. The details are a bit different, but I wouldn't count on that one. It's been 13 years with no progress. So I downloaded the beta. I don't know if this is the case in any of the other beta versions, but in this version I had terrible slowdown during regular gameplay. I don't know why. I also encountered a glitch after bouncing on multiple enemies which put Tails into his "flying follow" movement, but retaining his walking animation cycle. Super weird. I also encountered a glitch after bouncing on multiple enemies which put Tails into his "flying follow" movement, but retaining his walking animation cycle. Super weird. IIRC this can happen in the final game - Sonic 2 can't always cope with what Tails is doing when he's slightly off-screen, although it struggles more in this prototype (and beta 4... and probably others). 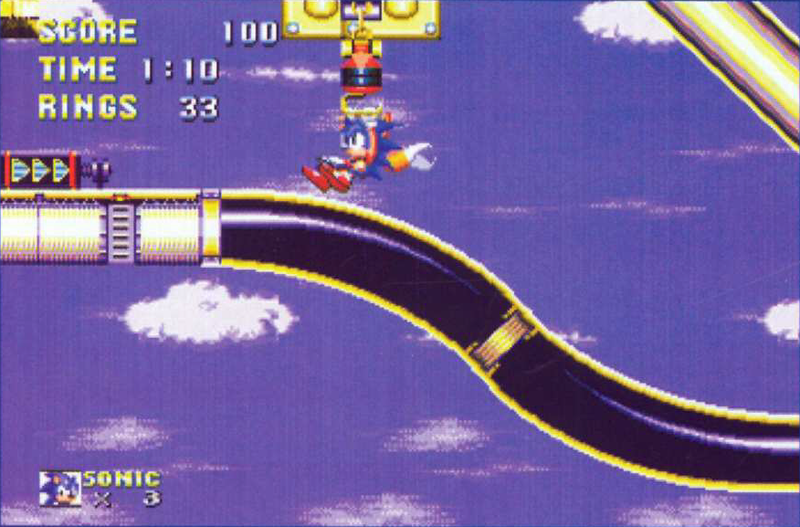 This can happen a lot in Chemical Plant Zone - as cool as it is to out-run the camera, the game really doesn't like it and it's no wonder Sonic 3 chose to limit itself with speedy bits. I reckon with a bit of effort you could chart exactly when magazines got ahold of prototypes, and therefore be able to date these builds to the nearest fortnight or something. But there's so much content that was overlooked the first time because we perhaps weren't paying attention - the special stages are obvious now but back in 2003 when SWS2B was in full swing? Too busy looking for Hidden Palace shots. I don't know any details other than what I read in this post, but maybe a crowd funding solution (with funds only being released if the product is delivered) could help here? If the guy hasn't bothered to get it in 13 years he probably never will, but money is a damn good motivator.. It's not a money problem, which the post you replied to attempted to point out. This kind of back and forth happened the last time it was discussed. It's literally a family problem and the owner either isn't willing to visit / talk to his father or his father doesn't want him anywhere near. We don't know, but it's not something anyone online can help with. Project:Trying to be useful somehow. Just a brush and it get's brand new... cartdiges are tough.. If we keep searching, who says we can't? Just like how this bulid was found.